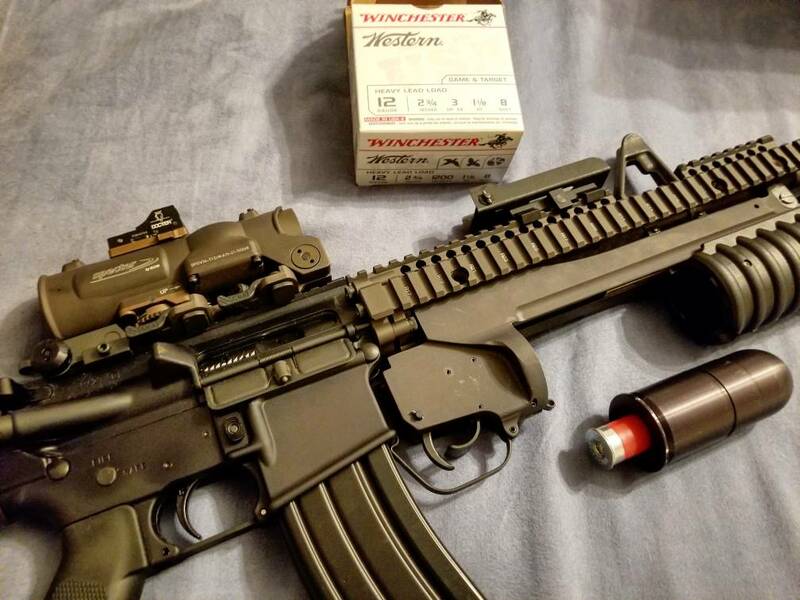 The LMT Enhanced BC sometimes does not play nicely with smaller ported barrels. Try swapping that out and checking for gas leaks. Otherwise, the port size may just need to go up a size. The worn in spring did the trick. Kept everything else the same and it even locked back on a cold rainy 58° day. There is no recoil to speak of. 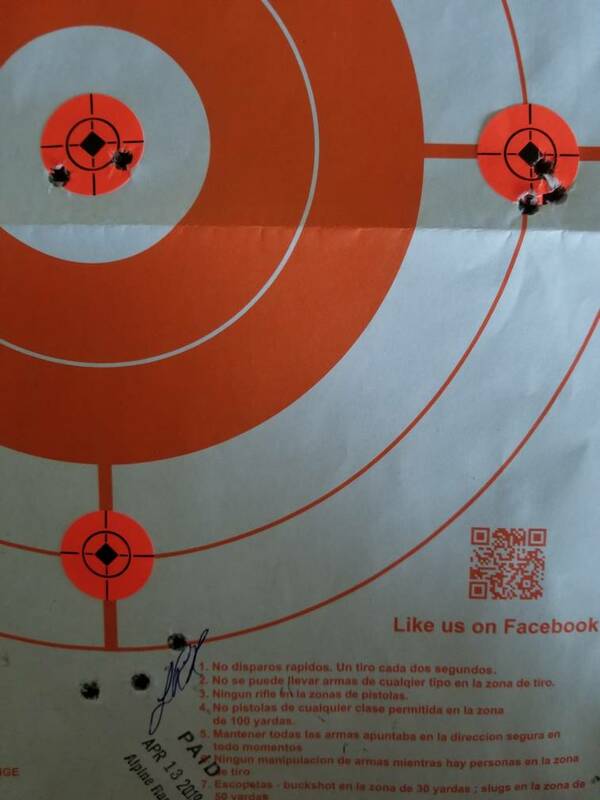 The picture is by no means an accuracy test but the top left is checking the zero on my KAC irons with two shots and the others are getting the old not-so-tight Elcan in the ballpark for 100 yards. This was all done at 50 yards with 1" stickers and 77gr IMI Razor Core then it started raining real hard so I called it a day. Extremely happy with the Daniel Defense barrels I have. Last edited by Ftrinida1; 04-13-19 at 23:55. Are you shooting the slugs out of the granade launcher? Pics of how that works? Yes, I'm using a 40mm to 12GA adapter. Here's a pic of it on my M4A1. The shells in the picture actually dislodged something in the elevation adjustment on the Elcan while shooting so I'm afraid to shoot it with the optic mounted using normal sized shells. I'm gonna try to see if 12GA to 20GA insert works in the adapter.